Maybe their next song will be called “Tormato”? Agreed but I do like To Acend so I’ll happily take this one as well. It’s alright. I didn’t much like “adult contemporary” rock of the 80s and 90s the first time around but if the likes of Wilson Phillips and Mr Mister are your thing then this is really nicely put together and at least the song is about something vaguely positive if only in a pastel-hued, Sting-tastic kind of a way. Musically it is well-crafted (which I know is damning it slightly with faint praise) and the harmonies are far away the nicest part of this recording along with the Wakeman / Rabin interplay in the out section. The fact that I cannot hear the kinds of keyboard sounds Wakeman was using on the Living Tree tour is a major bonus. That is assuming of course (and as you note in the show) that he is actually playing on this version. Wouldn’t be the first player to find that three’s a crowd in a Rabin / Anderson project. Disappointments? Well for the core fan who goes back with them to the days of innovation you have to wonder where the leading bass figures, the idiosyncratic jazz infused guitar style, the adventurous liberties taken with time signatures, harmony and counterpoint are all hiding? 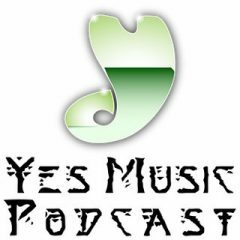 Not this band’s thing clearly so those of us bemoaning their absence should just stop hoping and stick with Syndestructible and A Life Within A Day for Yes type music that is not being made by Yes. 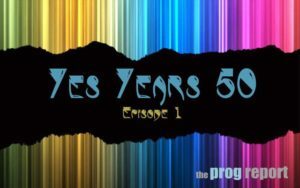 Does it sounds like a band with a history that goes back to London psych scene and the inception of progressive music? No. Is it Prog? No. Is there any suggestion that the creative force behind it has listened to a single note of Stravinsky or Sibelius? No. Will it inspire anyone to plug their instrument in and learn how to play it. Probably not. Does it belong in the Yes canon at all? Well that kind of depends on where you stand on what happened to the band when Rabin got a hold of them and most of the idiosyncrasies got sanded off. So, it’s all about expectations. If Continuity Yes came up with this track in 2018 I would be very disappointed but if it was on a Living Tree type record then I would be fairly delighted as it would be a real step up from what Anderson and Wakeman came up with on the last one. It would also have not been out of place on the Anderson Ponty thing. 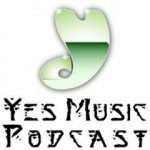 In any event my interest in Jon Anderson’s work outside of Yes is still stalled at the endlessly rewarding Change We Must. Still hoping he can recapture that form one of these days. As an aside – in the last week or so newly minted live albums from both Aisles and Big Big Train have dropped on my mat and it seems to me that if it is the spirit of the original Fragile you are after then you are more likely to find it with those two bands than with ARW. Especially the Chilean sextet who played a storming set in London a couple of years ago in front of a paying audience that was probably smaller in number than ARW’s accounting team. Definitely not in it for the pay day. Very dissappointed . We seem to be lead – on by rabin who i dont think ever had any reql interest ( or perhaps all 3? ) in doing any real “work “. The set list over 2 years should be proof enough of that. I paid to see them twice, 16, 17. I planned on meet wnd greet this time , but havent even seen any dates after ohio, and for 500$ after getting cutting room floor embellished dribble I feel taken. It really hurts as a long time they can do no wrong fan to see thisgoing on. I would love to hear lou and lee’s true personal opinion at the end of this whole money makeing scam . When I spoke to Kevin, Henry Potts and Simon Barrow on Friday at the plaque unveiling I was quite dismissive of the track, but now after a few more listens I find myself humming the tune regularly….there is some pleasant guitar work, nice occasional keyboard arpeggios and it is lovely to hear the Rabin/Anderson Yes choir on a new song. A pleasant ditty which as already stated sounds a bit like Mike and the Mechanics. Still not convinced by the music, but honestly those Anderson/Rabin vocals are wonderful….simply devine. While most of my feelings on this “new” song have been effectively expressed by Ian, after listening to the podcast, regarding the possibility of what we had heard being an unfinished demo (and Kevin and Mark wishing that it is the case)… my question is… why would the artist reveal an unfinished demo of a (supposedly) long awaited work of a band of the dimension of Yes/ARW – revealed by the band itself! or, even worse, revealed independently by one of the members of the band… ? This seems unreal and, being true, wouldn’t seem to me to be the wisest move. It was for sure an underwhelming reveal after such a long wait. Thanks. It is unreal but not all that surprising. I assume this was either done on a whim / out of frustration or a perhaps more considered attempt to get a social media buzz going to tempt a label on board. May even have been attempt by one member to convince the other two that he / they are onto something. They probably wouldn’t be releasing music in this manner if they had a release date for new studio music on the horizon. If it was to create a buzz surely they could have just given it to Prog Magazine as an exclusive? So if there is a grand plan it is a very subtle one. To be blunt I don’t think a record is going to get made unless someone reputable is going to fund the recording and marketing AND put a little something in everyone’s pension pot. No one reputable is going to put that kind of money in without a tour and Rabin just basically excused himself from future live work. Maybe they could get Todd Rundgren in the band and keep ARW going that way! Anyway I honestly can’t see any label other than a specialist Inside Out or KScope type outfit coming up with a significant advance and even then probably not significant enough to cover costs and to split something measurable between three rock stars and their management. 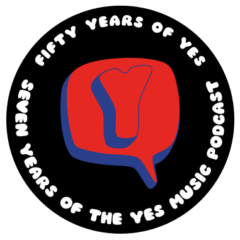 If you were an entrepreneur would you pay for a Yes album where the use of the name is in question, you can’t use the band’s logo and the architect of the band’s visual aesthetic probably wont be on board? Me neither. They aren’t going to “do a Marillion” and self-release and it is a bit late in the day to be engaging with fans in that way. The Anderson / Ponty Pledge thing proves that those crowd funded releases are only as good as the artist’s on-line store and their mailing list of active consumers driven by a constant throughput of new products. Even a decent social media presence is no guarantee that people will pre-order new studio music. Especially side-project music. So that would seem to be that. There’s this live album souvenir to come and then everyone gets back to what pays the rent and involves the least gruelling travel itinerary. Wow. Very insightful but super speculative. I hope all of what you mentioned in not actually the case, but in the absence of any quasi–frequent communication we are left to hope, wonder, and as you did — speculate. It’s a pleasant enough mellow song. As they say in the podcast it isn’t like ARW haven’t had a loooooong enough time of swapping around musical ideas so it does seem bizarre that their first song released to the public is a recycled Rabin track with Anderson relegated to backing vocals and a bit of Wakeman (?) piano thrown on there. “fragile” really does seem like a YesWest lite version of a H&E track (I like H&E btw) but it will certainly be good to hear a finished, higher fidelity version where the bass and drums are audible. Also, with Rabin heading back to film scores, and only ten ARW shows announced in the near future, who knows if ARW will ever get around to actually releasing that EP (previously album) so “fragile” may just be it. The song seems to be rather well named: it may just reflect the status of the band. I agree with Mark and Miguel’s assessment. Spot on in my humble opinion. I will be seeing ARW this month but they do wind me up at times. Why call this song Fragile and use an image of the earth in the video that looks exactly like the Fragile t-shirt I a happen to be wearing today from YESofficial? That, and the tour logo rip off. It’s just a wind up that is completely unnecessary. Then, why go see them you may ask! – I guess I just can’t quit them.